Cobalt, thank you for the feedback. The car is a coupe and I am 99% sure it has had no accident damage. I know the gentleman selling it and know for sure nothing has happened to it in the 20 or so years he has had it. I looked at it a few weeks ago and everything on the body looked straight. I am going to try to look at it again this coming week as he told me yesterday he is finally interested in selling it. 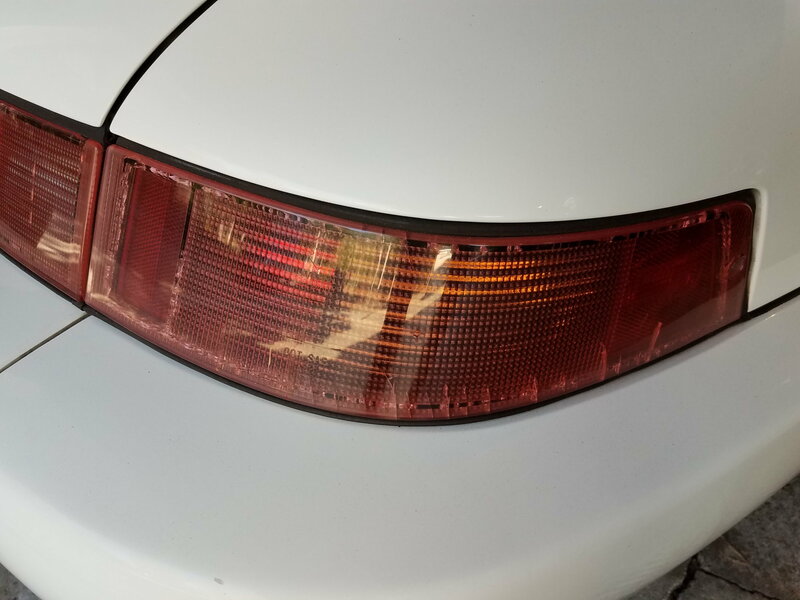 I know their are some cracks in the tail light plastic pieces that I would want to replace but those are just cosmetic things that I would want to address. 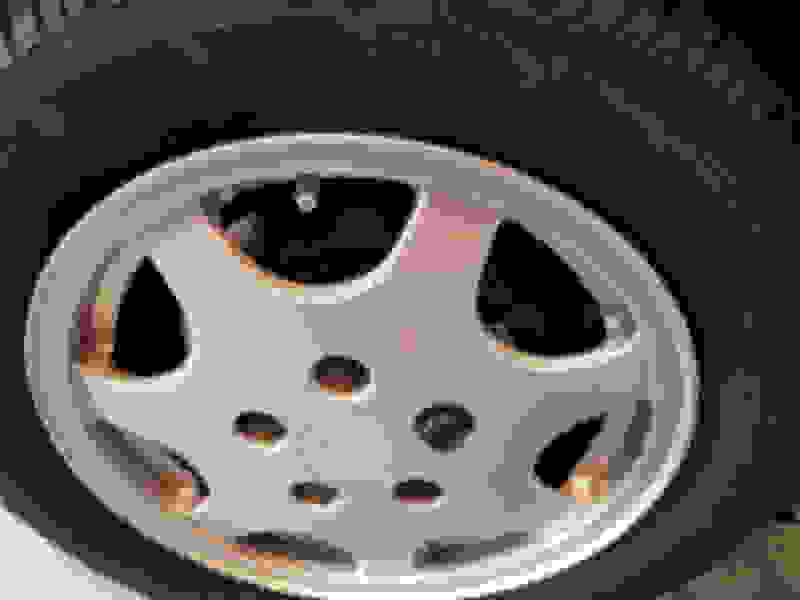 I also know it will need tires, they need to be replaced due to age not wear. I will definitely get a PPI. I know the shop and the mechanic that he has used and trust them both so I know that any work has been done correctly and will be able to get all service records on the car. Money would not been an issue for any repairs that needed to be done. Money is not an issue now for the seller either and I just don’t think he realizes how much these cars have appreciated. He has not been as interested in or as physically able to enjoy his Porsche (he just turned 75) and has spent more time on his motor home and the early Bronco he is doing a frame off restoration on right now over the last few years. I do plan on sharing the feedback I receive from the group with him in regards to the car’s value. Sometimes a great deal is not worth it if you are taking advantage of someone. If he still feels his price to me is fair to him and he gets what he wants for the car, then he is happy and I get a great deal and have a clear conscience. Good luck to you, I hope you get it and share more details if/when you do. Good evening all, new member with first post who would appreciate the group’s input. 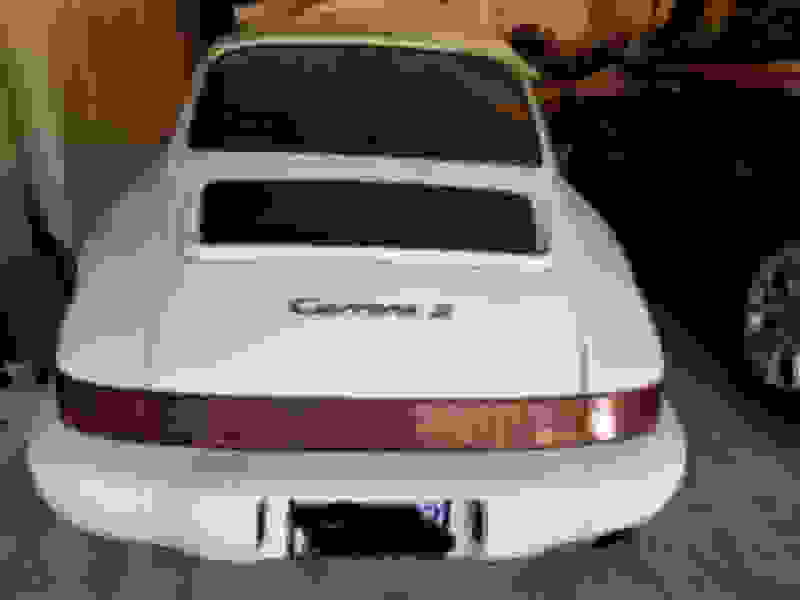 I am looking at buying a 1990 964 C2 with approximately 55,000 miles. White exterior with wine/burgundy interior (not sure what the official color is called). 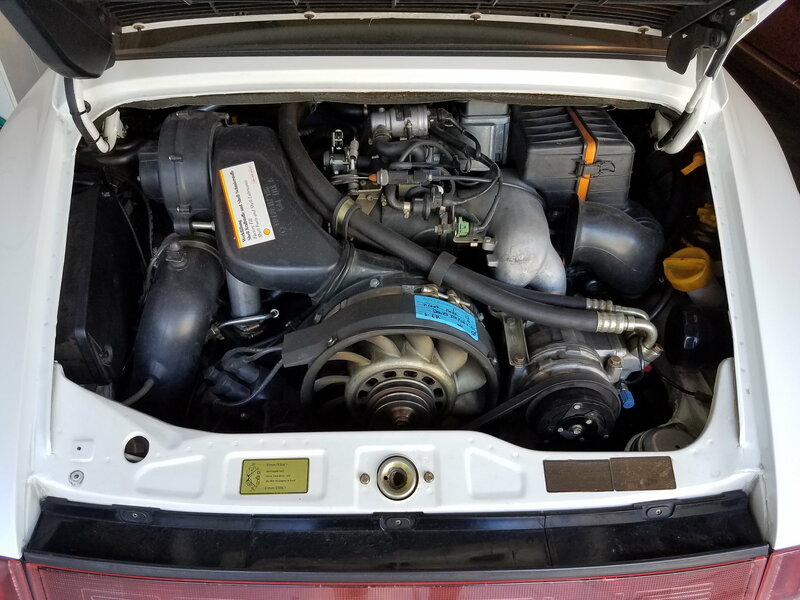 It is in excellent condition inside and out, current owner (2nd) has had it for about 20 years and has only put 15,000 or so miles on it. This is the 4th Porsche he has owned and or restored so he knows how to take care of them. What do people feel is a fair price for a 964 of this vintage and condition? FYI, I think he is going to ask around $33K which it seems is a fair price given the limited research I have had a chance to do. Appreciate any input from the group. Thank you for the input golfnutintib. It is amazing what these beautiful cars seem to be going for lately. Much like how my early Bronco has appreciated in the last few years. Here are a couple pictures I took the last time I looked at the Porsche. The battery was dead so we didn’t move it outside of the garage. I am heading down tomorrow to meet with the seller. Cracked lenses on the tail lights and rear reflector are common. Anyone know the numbers on sunroof delete 964's? I’m pretty sure this car has been discussed already in the great American 964 thread And I know the seller has been discussed many times over for being....well, unscrupulous to put it mildly. Have you seen this car? https://dallas.craigslist.org/dal/ct...835681175.html - I talked to him a few weeks ago and made an offer, but we couldn't come to terms and I moved on and bought a different car. It needs a major engine rebuild, but the color is fantastic. Definitely would be one that needs to be brought back to life. Considering you'll have a new 3.6 case to play with, this might be the perfect car for you. (407) 990-1974 ----- Check us out on Facebook, also! After you “play with” a new 3.6 case your going to be looking at about $30k for just the new case rebuild. A new 3.6 crank is upwards of $7k. Add rotating assembly and everything else, your talking big money on top of the asking price of this targa. If you’ve got that kind of money, just buy a Turbo. Does anyone have information on this 1994 C4 being offered by LBI Limited? Any ideas on why it hasn't sold — other than a high asking price? LBI Limited is active on the forum and posted a rennlist ad for the vehicle back in 2017. Last edited by Equilibrium; 04-02-2019 at 01:54 PM. Thank you. I don't want a Turbo. This isn't really an economic decision. More for personal health and enjoyment which is priceless. ad for the vehicle back in 2017. I looked at that car some time ago. Seems about $30k over market to me.